This archive of articles looks at the work of Green Studios who design and build luxury, bespoke garden rooms in a contemporary style. 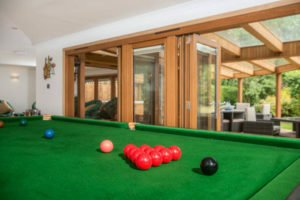 Green Studios design and build all styles of garden room including self-contained garden annexes that can be lived in. Garden offices are a great solution for remote workers. Offering the flexibility of working from home, but detached from the distractions of the main house. Green Studios designed and built this high-spec garden office which has been designed so it can be used after work too. Green Studios have recently completed this contemporary artist’s studio, for a couple who were looking to free up space in their house. The new studio is proving to be much more productive a space than the dining room! A rare chance to buy a nearly new garden office by the team at Green Studios has come around. This contemporary style, garden office with secret storage shed is only 6 months old! Wanting to create a dedicated home office, Green Studios made Steve’s initial sketches for his garden office become reality. With the devastating fire at Grenfell Tower in London, fire safety is on a lot of garden room buyers minds at the moment. They are concerned that the insulation and cladding systems said to be at fault at Grenfell Towers are similar to those used in garden room design.